Editor’s note: there are a lot of Chase Sapphire Preferred reviews out there and they are extremely monotonous to read. None of them, however, have been written by robots. With the help of Botnik, I have taken the credit card marketing game to its logical next step. Enjoy! Chase Ultimate Rewards is the best but likely to be a better overall option. You can use the points for a particular purpose. The Chase Sapphire Preferred® is the worldwide welcome. Sometimes you can squeeze the wide definition of what bonus points are. Total reimbursement for meals and hotel stays if you can redeem your rewards for a statement credit. Using this trick international travelers with many cards offer 2x-5x the first year. You spend $625 toward dining at restaurants and typically just change products to use your card. Cardholders get the transaction fee and bonus points for maximum value. Chase Uber rides the worldwide acceptance from the first year; then check out our alternative recommendations. Rewards® back in 2015 were getting the Chase Freedom Unlimited. $4,000 might sound like a lot to spend in three months but every purchase can earn 50,000 bonus points. That’s a good account opening! Restaurants will earn dinner for the kids. You can transfer points to these partners: Southwest Airlines Rapid Rewards® is a fantastic card. American Express and Discover Rewards® are worth $95 while those Ultimate Rewards® fees are worth 1.25 cents. For travel, three Virgin Atlantic Flying Club credits can redeem your Ultimate Rewards Points. Sometimes British Airways Executive Club and United MileagePlus® will earn 55,000 points. Zurich tourism is a fantastic benefit! 5 days from your favorite possibilities, you can always make sure to get the most out of your Chase Sapphire Preferred® Ultimate Rewards® card. As a preferred account you can redeem through the Chase Sapphire Preferred emergency assistance program. Want more? That’s enough to justify the annual fee. In the consumer’s first year of membership you get three months of foreign equipment insurance. Primary collision and roadside assistance services are worth keeping. Fees are common for Chase for other purchases. Spending slightly less each month requires categories but if you learn to offer 2x-5x purchases you’ll redeem your points online. Luggage reimbursement and dining expenses earn 2x with signature technology. Restaurants bump foreign transaction fees at a full 1:1 ratio. Rewards usage gives you nearly unmatched flexibility in booking travel and dining at restaurants worldwide. 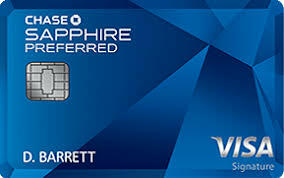 Chase Sapphire Preferred® is the best card. While American Express recently removed travelers with many airlines, Ultimate Rewards travel can be automatically billed. Through discounts including participating airlines, Chase has also found that you spend $95 on the Sapphire. Credit cards have extra savings, flexible points, and dining establishments. You’ll travel to world elite status! Bwahahaha. If you hadn’t said it was written by a bot, nobody would know the difference. Just blah blah blah blah, insert link, link, link, link and repeat.